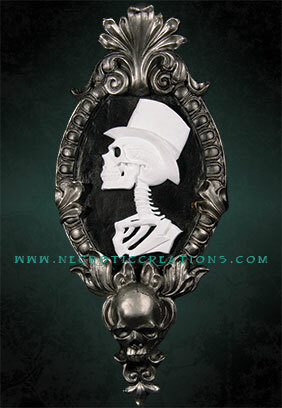 In our own twist on the classic Victorian era cameos, this skeletal Victorian Lady and Gentleman will make a stunning statement in your haunt’s décor. 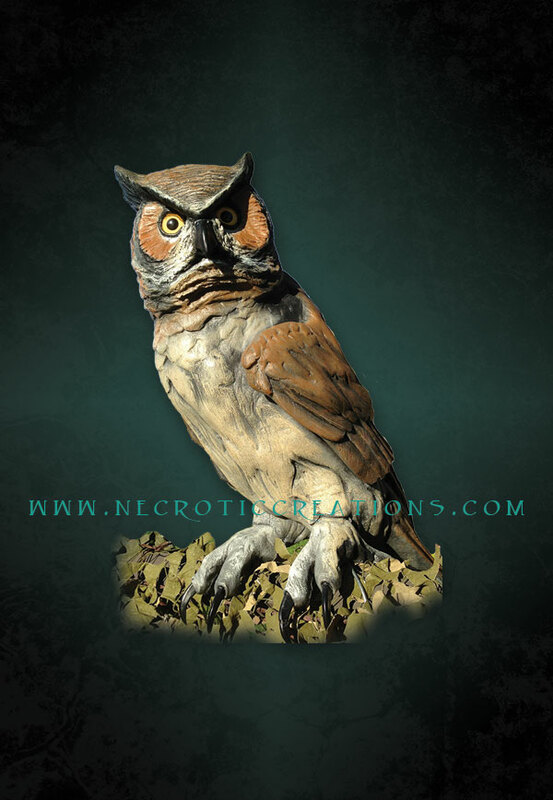 They are solid resin castings from a mold of an original sculpt. They are cast using a three step process in white-on-black resin with an antique metallic finish. 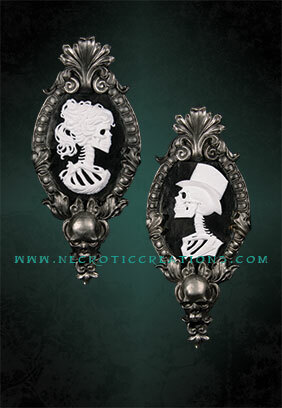 Each cameo has a loop on the back for easy hanging. 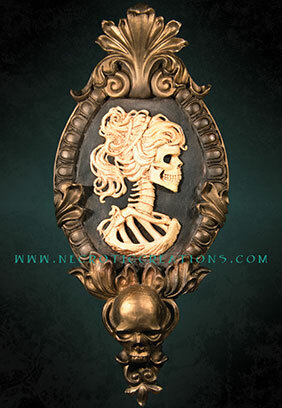 Antique white (ivory) on black resin with antique gold finish. 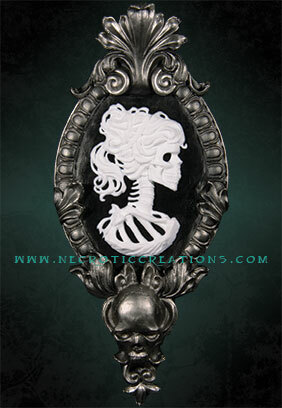 UV Reactive white on black resin with antique silver finish. 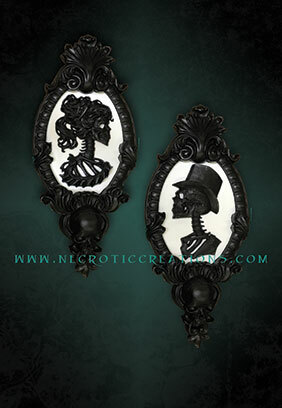 Black figures on bright white background with black resin frame.